Miller Run, a small intermittent tributary to the Susquehanna River in Union County, Pennsylvania, flows through the Bucknell golf course and past the university’s Art Barn and the “Mods” student housing complex before flowing through a culvert under Route 15 and continuing on through campus. Ongoing student research and course projects in Biology, Geology, Geography, and Civil and Environmental Engineering are providing a wealth of information that will be useful for facilities and consultants in developing design alternatives. A Growing Greener grant from the Pennsylvania Department of Environmental Protection (DEP) is providing $178,000 to restore the channel to a more natural condition. Construction and new plantings will begin in 2012 and continue on into 2013. Miller Run flowing along Smoketown Road, by Art Barn and Mods student housing complex, October 2011. Improving campus and the surrounding watershed. Because of the strong hydrologic and ecologic connections between the Susquehanna River, its tributaries, and the Chesapeake Bay, restoring streams and wetlands is of paramount importance to state and federal environmental agencies and a growing number citizens in the Commonwealth. Concerned citizens, recreational fishing and paddling groups, watershed coalitions and conservation agencies also share these objectives and are actively improving stream habitat conditions at a number of locations throughout north central Pennsylvania, including nearby Buffalo, Penns, and White Deer Creeks. 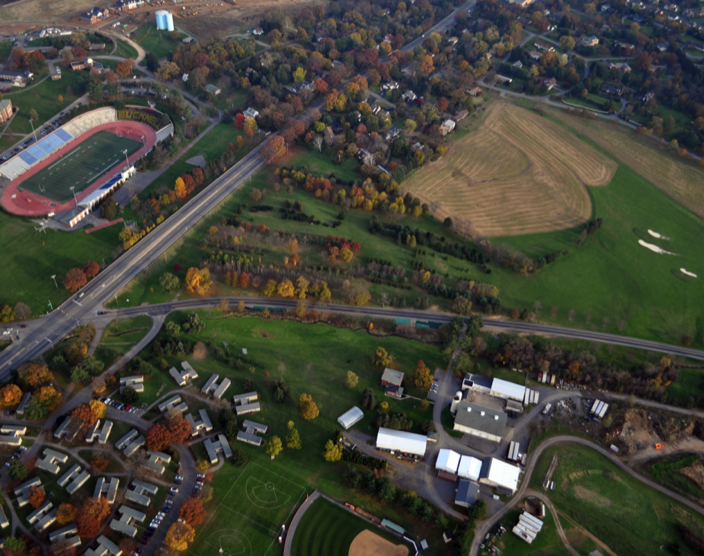 Bucknell university has unique opportunity to not only improve the aesthetics and ecology of Miller Run, but to incorporate this stewardship effort into its teaching and research. The studies underway by faculty and students are providing a wealth of information on the hydrology, geomorphology, biology, and plant ecology of this watershed. These efforts not only enhance their teaching, but provide valuable information for consultants and facilities tasked with construction and replanting in 2012 and 2013. By monitoring conditions before, during, and after construction, the these projects are generating new ideas, better engineering designs, and more creative solutions to ecological restoration. Our campus can be viewed not only a beautiful environment, but an instrumented outdoor classroom for student learning. It’s exciting to see Bucknell’s faculty and staff work toward a common goal and lend their exceptional academic strengths in science and engineering to this project. The objective of this symposium to bring together over 60 students and 11 faculty from six departments to share their findings, discuss ideas, and map new directions for continued research and monitoring in the future. A goal of the River Initiative is to take what it's learned about hydrologic, climatologic, and water and air quality monitoring and apply it towards the campus. A network of integrated, solar-powered, telemetry-based water quality and flow gaging stations are planned for the Miller Run watershed. Additional groundwater wells with pressure transducers and lysimeters are also planned. 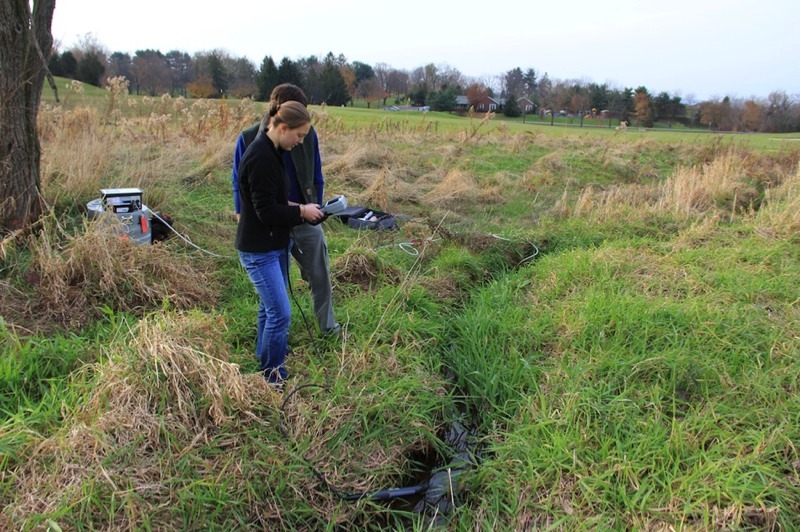 Data from this network can then be integrated into a scalable, relational database and accessed through a web-based portal as has been developed for the water quality sondes in the Susquehanna RIver.